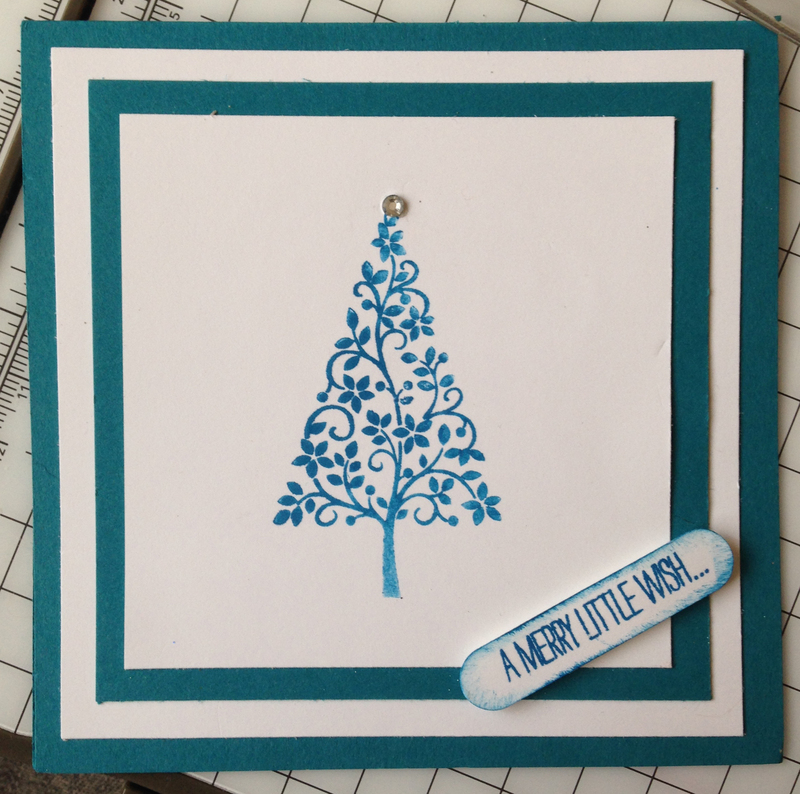 A Festival of Trees by Stampin’ Up! I hate to be the harbinger of bad news, but in case you have not noticed, in a few short weeks Christmas will be upon us. I have a number of people overseas to send cards to, so I thought that I had better start making them. I had a quick play this morning, and came up with a couple of cards, well one design in a couple of colour options. They are incredibly quick to make. For the first card, I have used Whisper White and Island Indigo card stamped with my favourite from the Festival of Trees set with a basic crystal on the top. 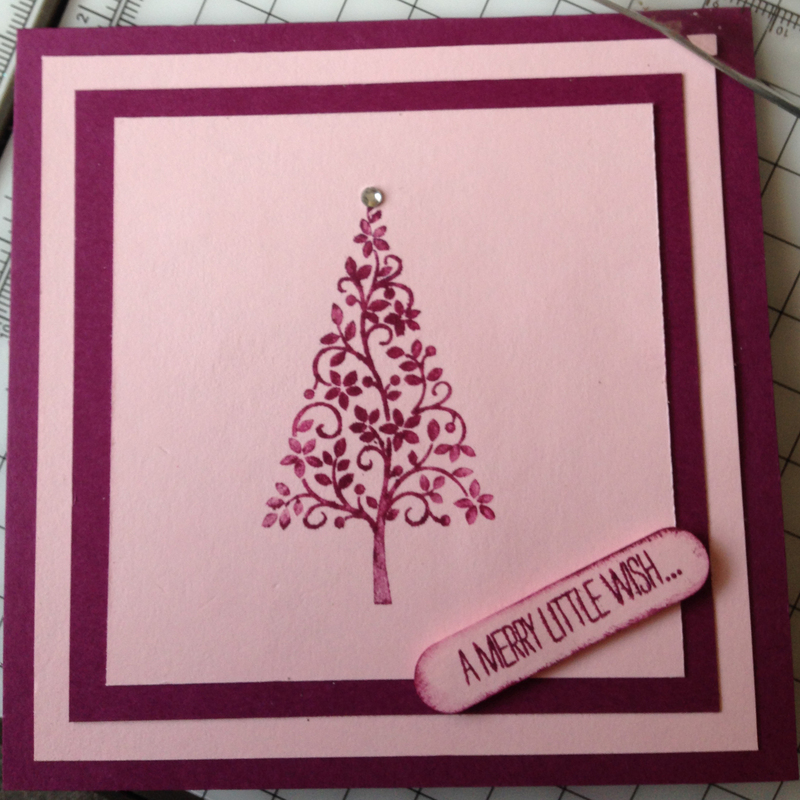 This is a beautiful, delicate tree stamp which lends itself well to heat embossing, or to plain stamping. The second card is Pink Pirouette and Rich Razzleberry card. I think my favourite is the blue card, but what do you think?